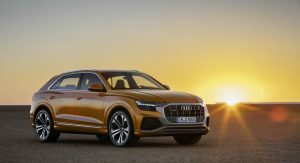 Gone are the days in which the only premium mid-size SUV Coupes you could buy were the BMW X6 and the Mercedes-Benz GLE Coupe. 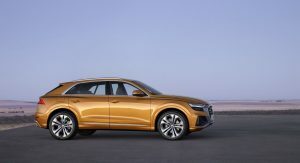 Now, Ingolstadt has joined the mix with an SUV unlike any other Q-family member. 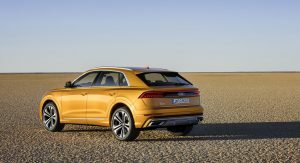 The Q8 will reach its European customers in the third quarter of 2018, bringing with it a “versatile, sporty and elegant” package that’s meant to be both dynamic as well as prestigious-looking, according to the German automaker. 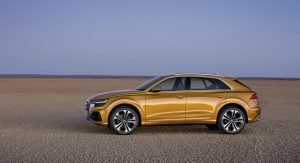 Bumper to bumper, the Audi Q8 is 4.99 meters (16.4 ft) long, with a width of 2.00 meters (6.6 ft) and a height of 1.71 meters (5.6 ft), making it wider, shorter and lower than the Q7. 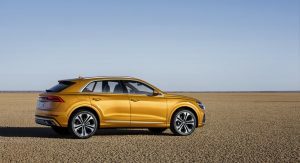 As for the wheelbase, it’s nearly 3.00 meters long (9.8 ft), resulting in a more spacious interior than that of its direct competitors when it comes to cabin length and headroom. 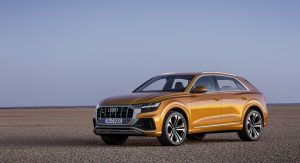 If you want precise measurements, we can tell you that the Q8 is ever so slightly longer, wider and shorter than the Mercedes-Benz GLE Coupe, while also edging out the BMW X6 when it comes to length and width. 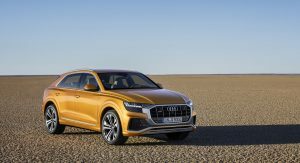 Compared to the Urus, the Q8 is down a few cm all-round, except for height (the Urus is more rakish). 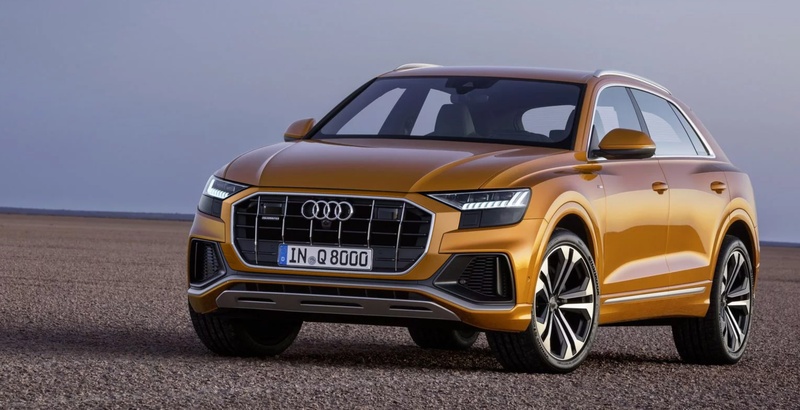 Unlike with some cars, we’ve had a pretty good idea regarding what the Audi Q8 would look like for some time now. 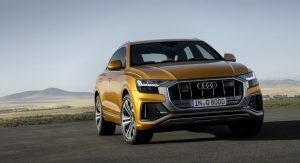 Its exterior is highlighted by the imposing Singleframe grille with its octagonal design, a dynamic-looking spoiler, contoured air inlets, a sloping roofline and the so-called quattro blisters above the wheel arches, which by the way, house up to 22-inch wheels. 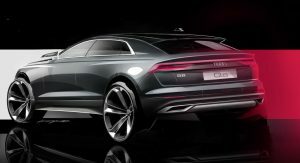 Other external features include the standard LED headlights (HD Matrix LED optional), a rear light strip and a black surface underneath, like in the original Audi quattro. 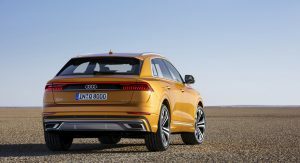 Speaking of ‘quattro’, the Q8 boasts a mechanical center differential moving power to the front and rear axle at a 40:60 ratio. 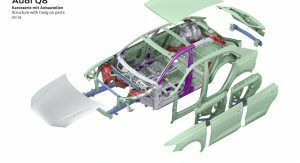 It can also send more power to the axle with better traction whenever needed. 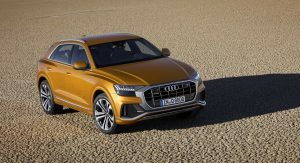 Then there’s the 254 mm (10 in) of ground clearance, the short overhangs and the hill descent control system, which together should help make the Q8 quite adapt at going off-road – which is where the adaptive air suspension with controlled damping (optional) can really come in handy. 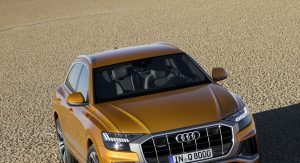 As for everyday driving, the Q8 boasts standard progressive steering, all-wheel steering (optional), and a new mild hybrid technology which can recover up to 12 kW of power under braking, while also enabling long coasting phases. 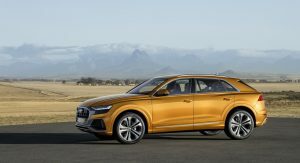 Inside, the Audi Q8 is just as technologically advanced as any of the automaker’s other all-new models. 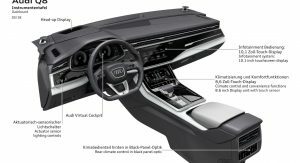 Among its most impressive features we count the MMI touch response displays (10.1-inch on top, 8.6-inch bottom), 12.3-inch virtual cockpit display, head-up display, optional contour lighting, Bang & Olufsen Advanced Sound System, 3D lasered quattro badge above the glove box, optional contour seats with massage function and ventilation, four-zone automatic climate control and more. 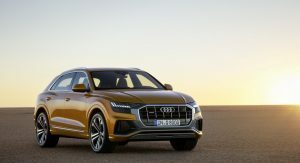 In Germany, the Audi Q8 will come with the top of the line MMI navigation plus system as standard, which includes the Audi connect data transfer module with LTE Advanced standard and Wi-Fi hotspot. 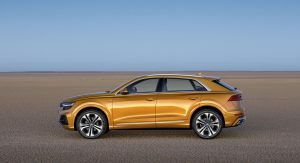 Meanwhile, predictive features are also available, such as the sat-nav recognizing driver preferences and making “intelligent suggestions”. 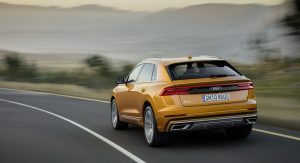 Then there’s the optional Audi connect key which lets you lock/unlock the vehicle or start the engine via a compatible Android smartphone – as many as 400 preferred settings can be stored for multiple users. 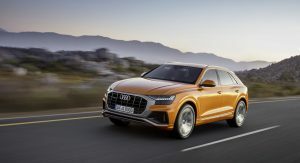 As for safety, drivers can rely on systems such as adaptive cruise assist, efficiency assist, crossing assist, lane change warning, remote garage pilot (coming in 2019), curb warning and the 360-degree camera. 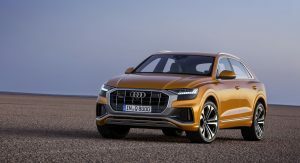 At first, buyers will have a choice of two 3.0-liter power units in the 55 TFSI and the 50 TDI, the former with 340 PS (335 HP) and the latter boasting 286 PS (282 HP) and 600 Nm (442 lb-ft) for a 0-100 km/h acceleration time of 6.3 seconds and a top speed of 231 km/h (144 mph). 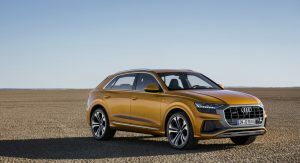 In 2019, a less powerful 45 TDI engine will arrive, with 231 PS (228 HP). Is that black strop under the headlights necessary? Otherwise looks better than X6 or GLE Coupe. That’s a horrible way to hide it since every other manufacturer and Audi model hides it better. There’s always a tradeoff. 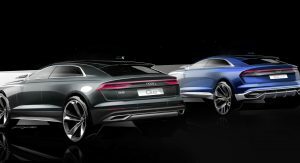 They wanted to make the headlights as thin as possible but keep all the intelligent adaptive functions of the matrix lights. Still that makes the car ugly AF. Looks like it lost a fight and got double blackeye. It can look clunky in photos but if you watch videos in motion, you don’t even notice it. 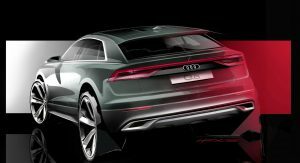 In fact, the car gets much better in motion, as have all recent Audi’s, which means this will be a model to see in the flesh before passing judgement. 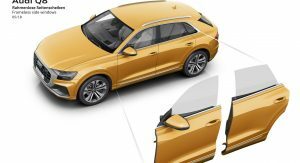 New Audi’s all photograph poorly. Best looking in it’s class, by far. 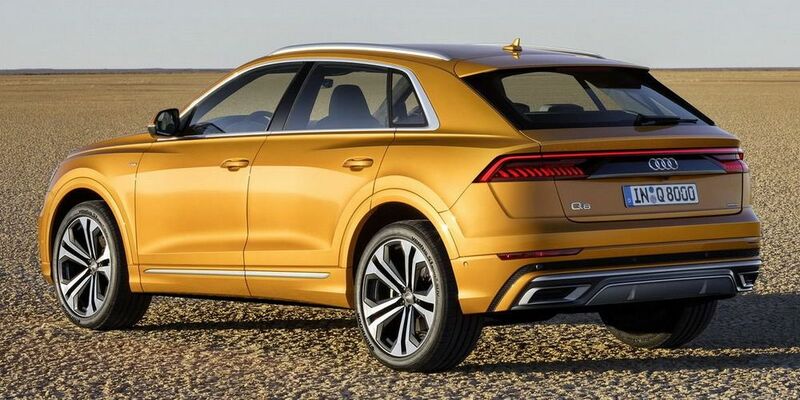 so if they design such a car,then who have designed damn Q7? 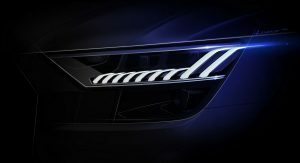 The black panel under the headlights will save costs when fitting the model with Skoda and SEAT headlights? 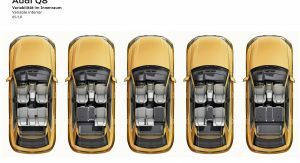 I’m sorry, but a Volkswagen Caddy 3-door is more of a coupe than this. Grille could be wider, not sure why they left free space on each side. I think it looks much better than the BMW and the M-B. 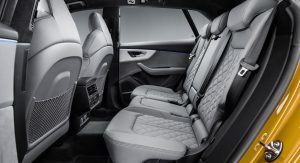 It’s nice, it’s just a shame VAG is making the interiors all look the same across the family. Very generic. All common platforms use the same interior bits and displays. you can say same thing regarding exteriors. 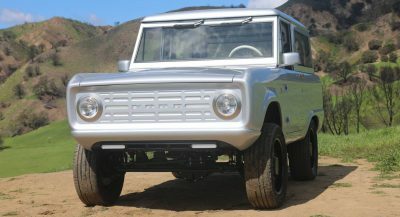 Front grill surround should be painted in the same color, it’s too busy and looks way too utilitarian with it matte grey, like there is no definition between the lights. Let’s hope. Although I highly doubt it. 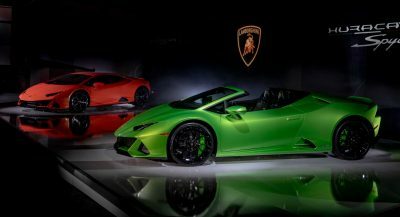 Painting it would require more steps to achieve the look, a matte silver/grey or gloss black grille is much cheaper to produce since it doesn’t need to be color matched to each car. Brighter colors will work with the black and grey grille surrounds. And honestly, this doesn’t even look that bad. Coming from a design background, I would say the opposite. The darker greys and blacks will work better with with the Black / Grey surrounds. This car with the Orange is already a bright color. It’s too busy, with the faux enlarged grill, thick surround, fake intakes and unnecessary shapes all the lines in between make it way too busy than it needs to be, I mean this is no Honda Civic Type R ugly or over the top “form over function” but It’s funny coming from a German company that seems to have lost their way. 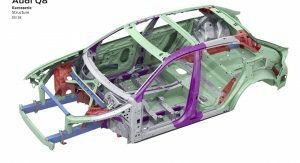 Sometimes simplicity works better, Just look at what Tesla or Volvo is doing with their front end. 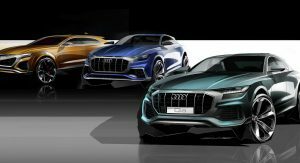 There are also some spy shots showing a black uncomouflaged Q8 with a grille mask painted in vehicle color and without the s-line trim. annnd more than half of the engine size..
SAY WHAT? 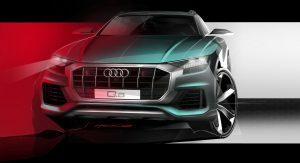 You like something from Audi? OKAY, Lizzardsquad, give this man his account back NOW! 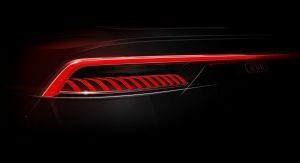 I Like the tail lights and overall it looks like a nice package. It maybe a little too close to VW in stance and shape. Overall, I like the idea. The interior is impressive and the overall silhouette is very good. But that mug is ridiculous. As-in, Lexus levels of ugly. And faux exhaust tips are not acceptable on a premium car. 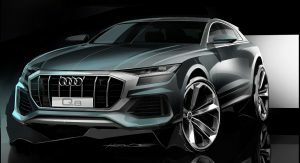 Audi needs to clean this up, and then it could be absolutely stunning. The plastic faux tips are inexcusable. Also, this has exhausts. Crude unfinished exhaust tips curved downward are fine on a twenty year old Corolla. But not okay on an Audi. Good, the matte grey looks worst imo. Should have debut with that instead. It looks pretty good except for the front fascia which is a mess. And what’s up with the Honda Accord wheels? Terrible inside and out. It’s a cheap looking gimmick-laden mess. 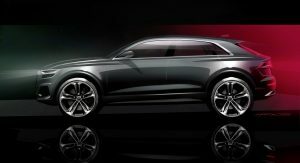 Audi design is officially dead.